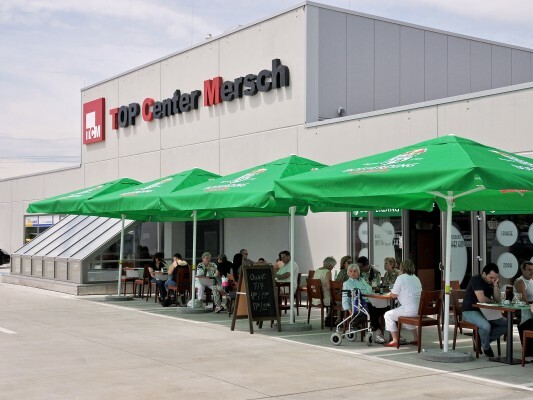 5 Miles north of the City of Luxembourg in the suburb of the village of Mersch we planned a discount shopping centre next to a 30.000 m2 luxury shopping centre of Topaze. The land is slightly hilly and we used that to make an easy entrance to the roof parking space. On the roof is also a main entrance. 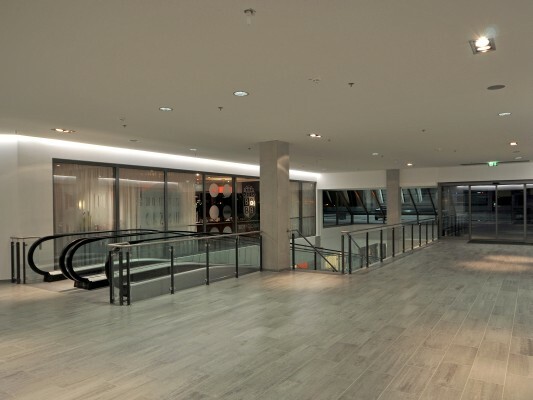 The second main entrance is on the ground floor level. 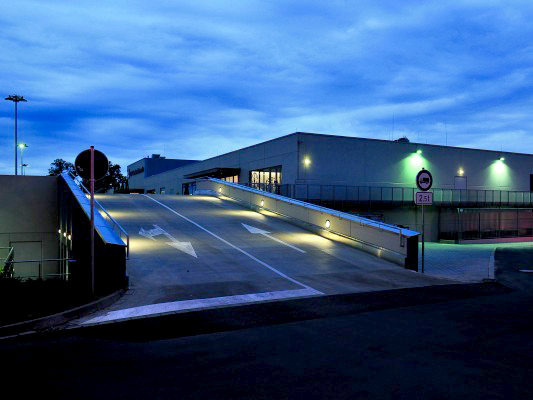 Both entries are connected by al large two story centre place with a magnetic path. 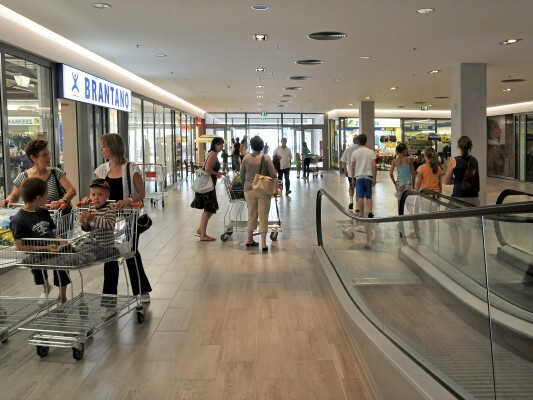 Around the central area where common activities take place are the shops. 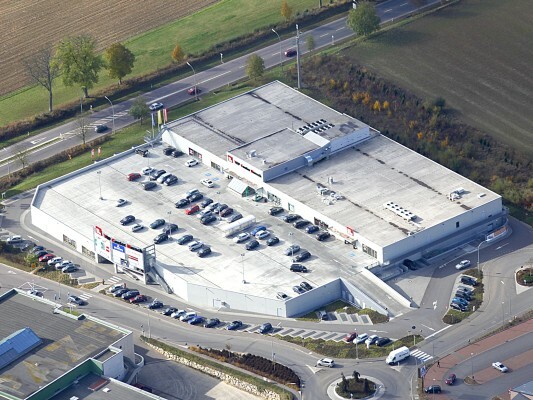 The central area has a connection to the parking space on the roof and a pedestrian way to the Topaze Shopping Centre.